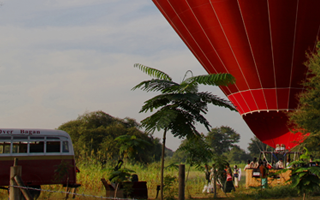 Bagan is an ancient city of old temples and rural towns which modern malls and massive shopping centers are not expected to be seen in this region. 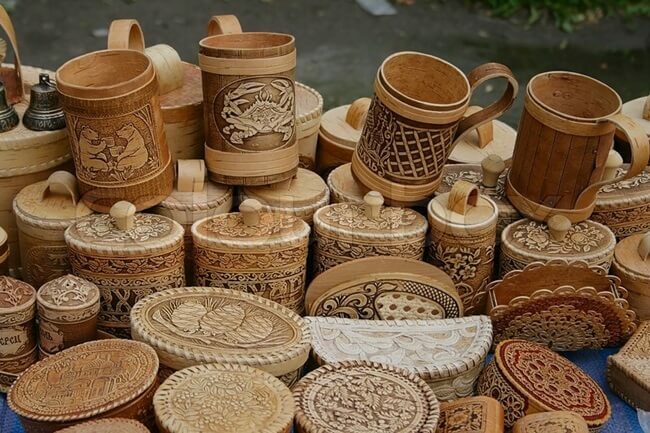 Hence, there are still some places offering a wide range of arts and crafts for tourists to find the unique souvenirs and authentic gifts to take back home. Here are 5 best places for shopping in Bagan which promise to bring the truly quality products with the reasonable price. 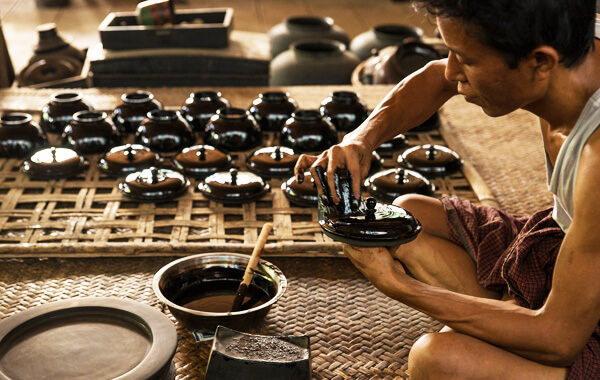 Of all the wonderful handicrafts, laccquerware is definitely the highlight of Bagan. 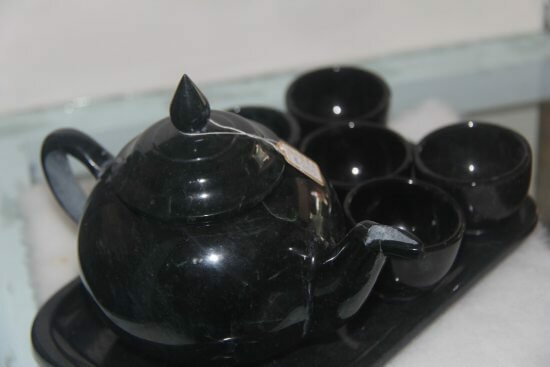 Jasmine family is one the most popular lacquerware manufacturing in town who has a long and proud history of making this product. Coming here, you will not only have a great opportunity to observe the skillful craftsmen design their products but also choose for yourself a perfect item. You can find true amber as well as all kind of fine quality of jade and gems in this store. The designs are vary in shape and size from elaborated jewelry to a normal tea set. The price depends on the quality and the sophistication of the products which you can choose for yourself an item fitting your budget. Moreover, when visiting the Golden Cuckoo store, tourists will be explained about the origin of the amber and touch one of the finest products. 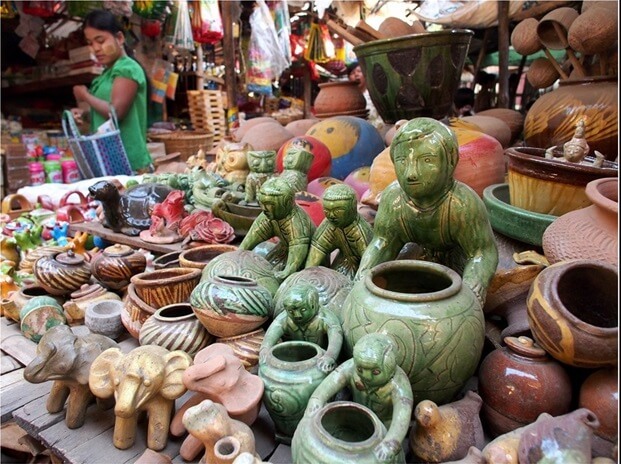 Shwe War Thein handicrafts shop is a highly recommended souvenir shop in the region. 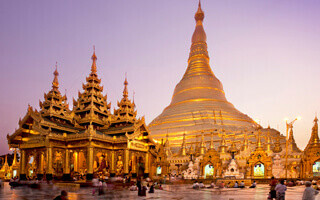 It displays and sells all kind of exquisite items of Myanmar and Bagan in particular with the reasonable price such as traditional and modern puppets, wood carvings, and gems. The staffs are very friendly and helpful making your shopping experience more memorable. Location: East of Tharabar Gate, Taung Be Village, Old Bagan. 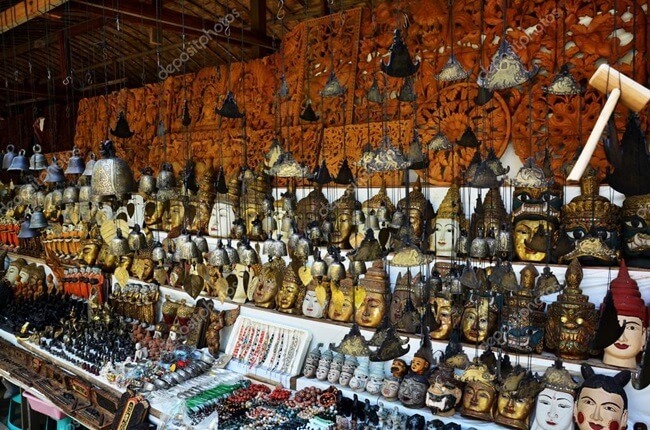 Another great shopping destination in Bagan is the 1517 Group handicraft shop which displays and for sale a wide selection of lacquerware, woodcarvings and glass mosaic. Tourists are also invited to watch the wood carving and lacquerware making process in this store. If you prefer to experience the life of the local inhabitants but still want to enjoy your shopping tour, Nyang U market is the best idea. It offers a great number of local products, cultural items, food supplies and attires, therefore, you don’t have to worry about not finding a lovely souvenir for yourself and one to bring back home. The market is at its liveliest in the break of dawn, so make sure you make your way to it early enough to indulge in the unique atmosphere of the local market. I’ve been trying to call Jasmine Family Lacquerware shop many times to speak to them about possibly ordering three Lacquer Stupa Rice Pots in special colors from them. However, each time I call, it always says the phone (+95 9 250 099 162) is shut off and no one picks up. 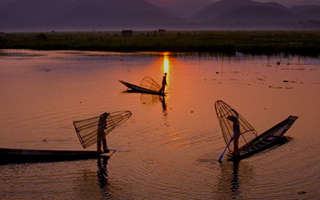 I am coming to Bagan on 18 January, 2019 and would like to order now for packing and pick up between 18-22 January 2019. Is there any way you can find out if there is a different working telephone number I can call,; or, better yet, get their email address so I can send the photos and description of what I want? +1 702 426 2579 (USA). We will try to contact to Jasmine Family Lacquerware shop and let you know later.